We love teaming up with other creatives to create a website that works for their business. 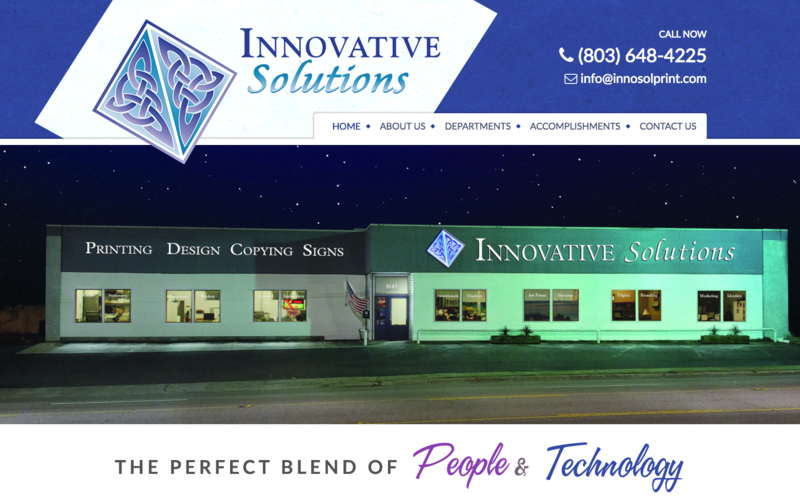 Innovative Solutions is a return customer, and we collaborated with this graphic design and promotions business to update their site. Does your website need a new look or SEO-friendly content? We do both! Email us to get started today! 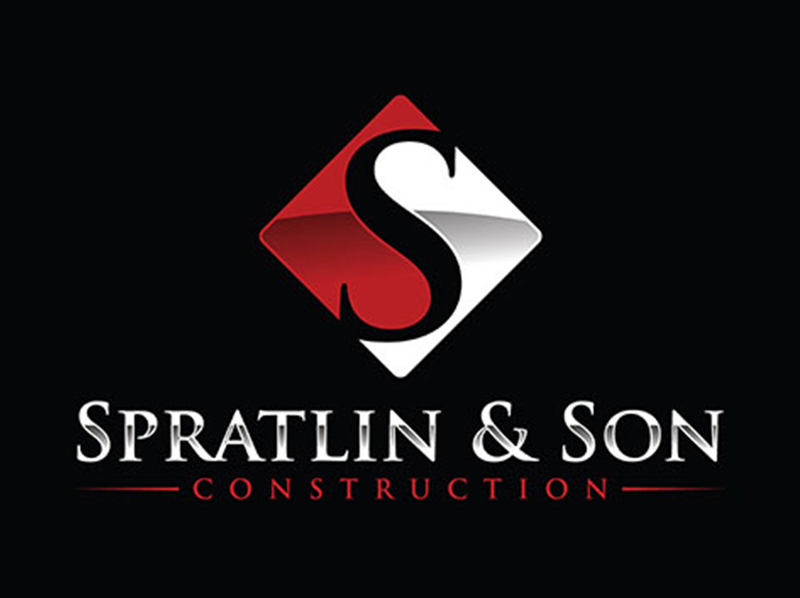 The Challenge: Spratlin and Son Construction is a well-respected and established commercial construction company that has been serving the needs of businesses and communities for more than 40 years. The client expressed that their initial website was in need of an overhaul, and wanted a professional designer and developer to refine their website presence as well as provide ongoing hosted support and updates. In addition, while they had a basic logo, there was little consistent branding through their company. 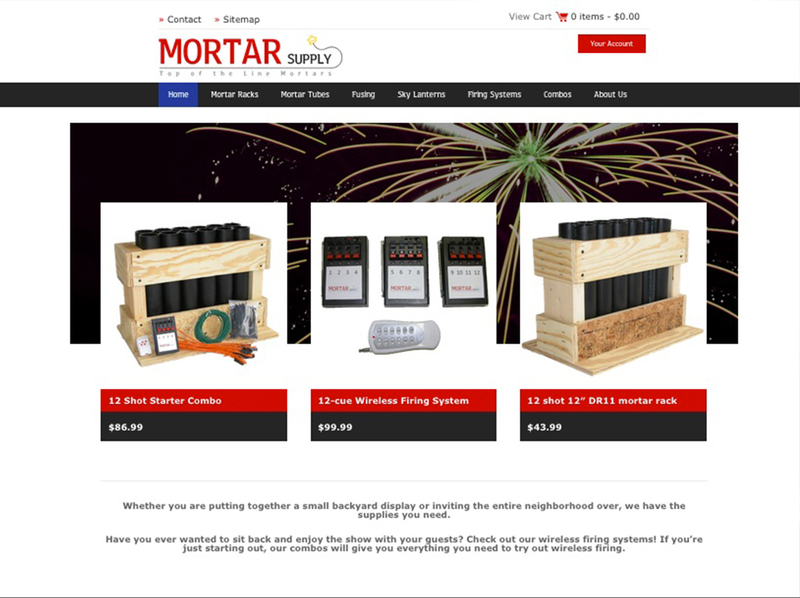 They wanted to update their brand to one that is recognizable throughout their industry. The Solution: After the initial discovery process, we worked with our client to design new branding that was applied to a new logo (including a reversed version useful for company vehicles and equipment), new business cards and additional company collateral pieces. 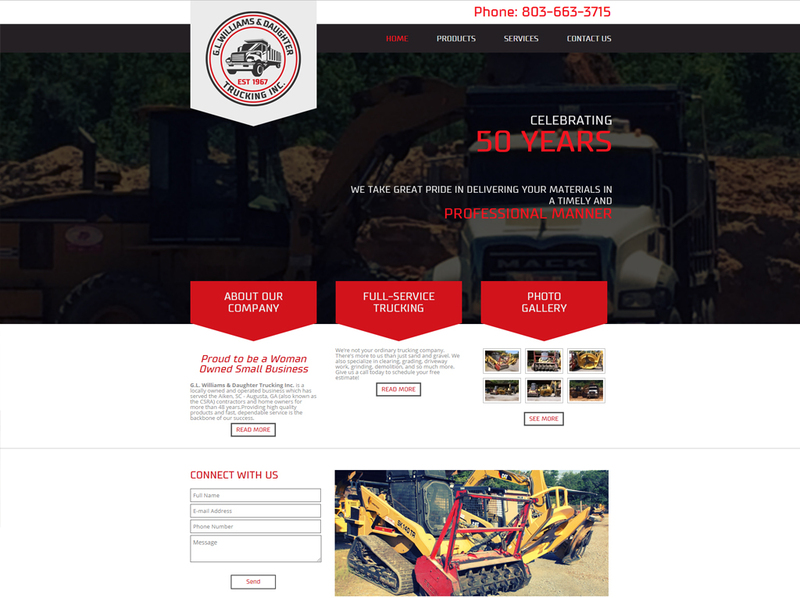 We also designed and developed a custom, responsive website which showcases their project portfolio, construction/design services and company profile. New Site Launch – G.L. Williams & Daughter Trucking Inc.
G.L. Williams & Daughter Trucking, Inc. is located in Aiken S.C. and provides a variety of services that include: Lot clearing, Demolition, Grading, Debris removal and more. They also offer products such as gravel, sand, fill dirt, compost and quality processed top soil. President and owner, Lisa Wilson, took the reins of her father’s company in 2000 and continues to provide the highest quality products and exceptional service. The company began with one dump truck and two tractors in 1967 and has expanded to include a fleet of more than 12 trucks, heavy equipment, a C&D landfill, five mines, two compost sites and 16 employees. Visit their new website to learn more! 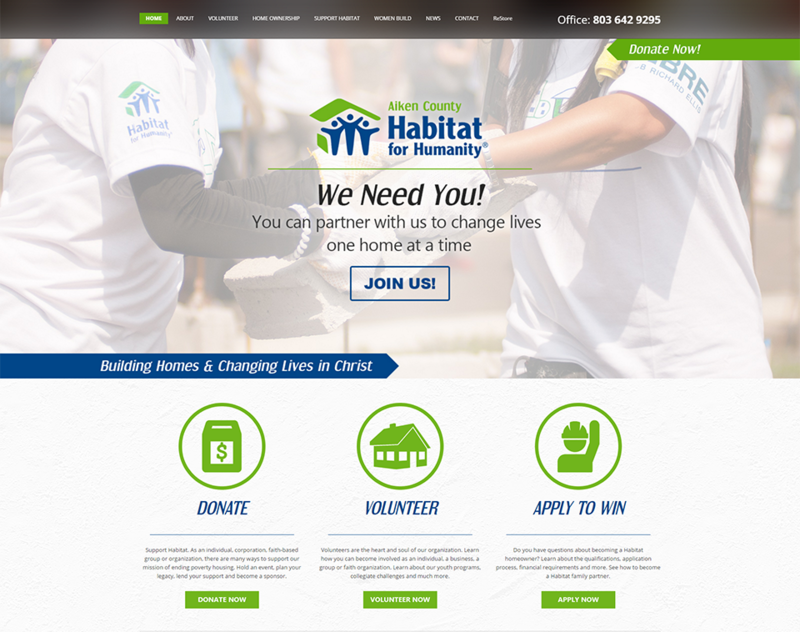 We are excited to announce our newest website launch, habitataiken.org. Home ownership has been called “The American Dream” but that dream doesn’t always come true for many Americans. Habitat For Humanity has a vision to help those in need of affordable housing assistance and Aiken, SC is proud to have a chapter in their city. Since 1988, Aiken Habitat has helped 92 families experience the joy of home ownership by building homes with the help of countless volunteers, 18 area churches and over 30 businesses. 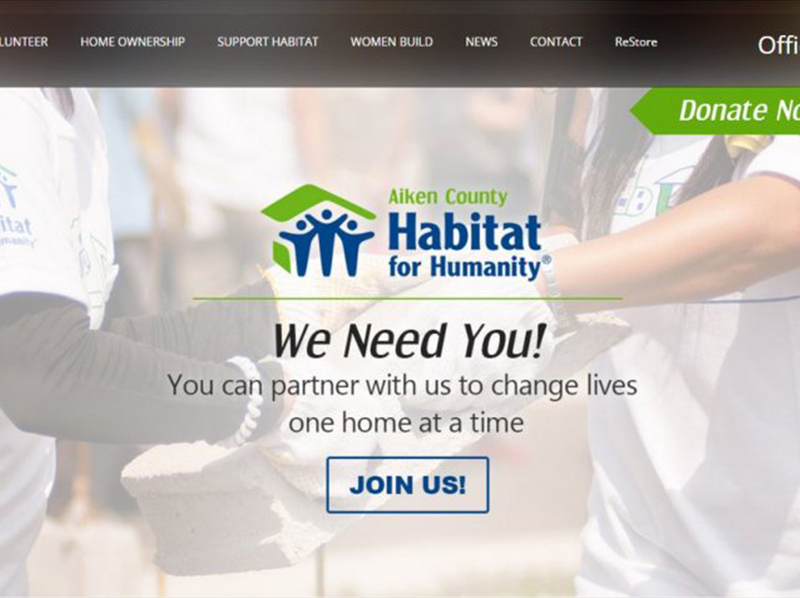 If you would like to get involved in helping this amazing organization, you can Donate or shop in the Aiken Habitat ReStore where new and used building materials are sold to the public. Profits from the ReStore are used to build more homes. As a business owner, you probably recognize the importance of doing online marketing. I hope so, anyway. One of the challenges that business owners face is coming up with fresh ideas and content for your website, for your blog, for social media, videos, etc. It can seem overwhelming, but it doesn’t have to be. 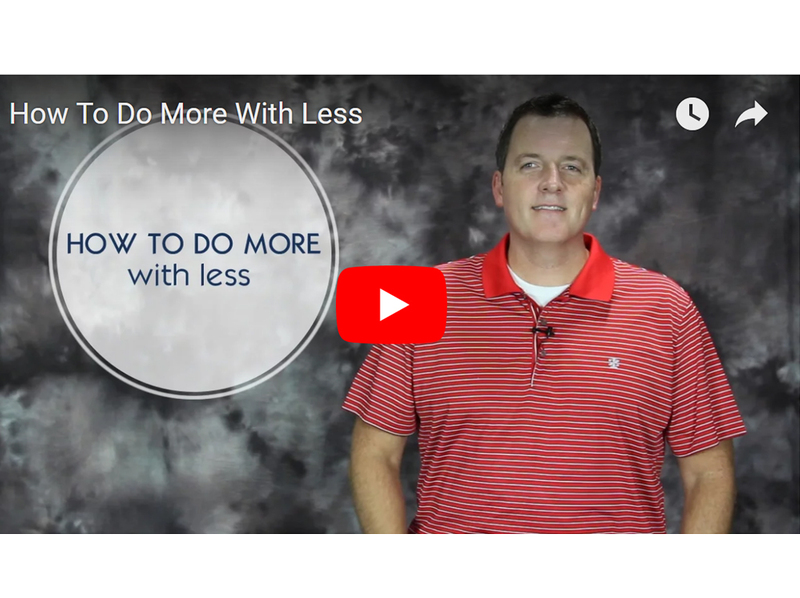 In this video, I’m going to share with you 3 easy ways for you to start doing more with less when it comes to social media, blogging, videos and online marketing. Thanks for your time. Much success to you! You have launched your website, and now you are ready to see who is visiting, what pages they are spending the most time on, what the most popular content on your site is and how did they find you in the first place?? This is a question I often get asked by our clients in one form or another: How can I see who is visiting my website? 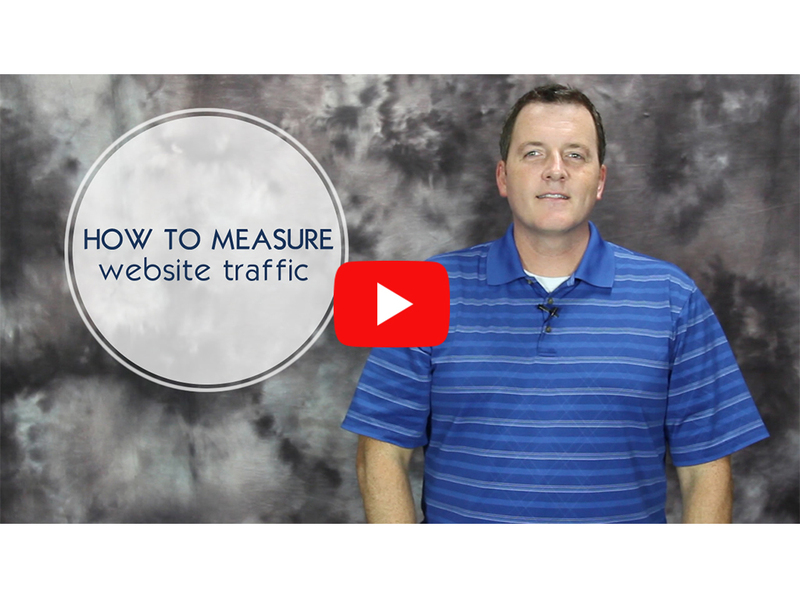 In the video below, I’m going to give you two methods to use to measure your website traffic. 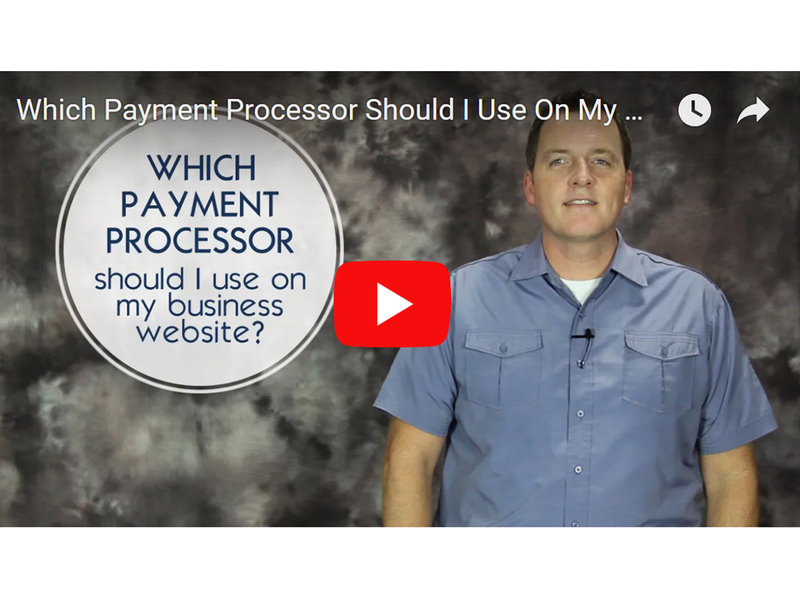 One of the ways is the “technical” way, the other is one that is not quite as technical, but is HUGE in the information it can provide about your website, your visitors and ultimately about your marketing efforts. Measuring website traffic doesn’t have to be overly technical and confusing. Something as simple a beginning to track where most of your website traffic sources are coming from (ie: Google Search, Facebook, Radio Ad, Billboard, etc.) with a spreadsheet will begin to give you a birds eye view of what is working well for your business and what needs some work. I really appreciate your time! If there is something we can do to serve you and your business, give us a call or contact us online. You have spent months and many long hours working to develop your new website. Whether you have designed it yourself or worked with a design/marketing firm, you have invested time, energy, money and creativity into that project. Launch day comes and your website is now live and ready for the online crowds and new business to come your way!……except it just doesn’t. The traffic just isn’t coming in like you had hoped, and your website isn’t very visible in search engines. If that sounds familiar, it’s okay. You’re not alone. In today’s video I address a common misconception when it comes to your website, online traffic and visibility. At the end of the video, I’ll give you two simple, beginner steps that you can start on today to begin to get the word out about your new (or existing) website. The important thing is this: Have a marketing plan on how to begin to drive traffic toward your website. I’ll be sharing some in depths tips and ideas on how to really increase your visibility online in future videos, too. Thanks for reading this today and for your time. 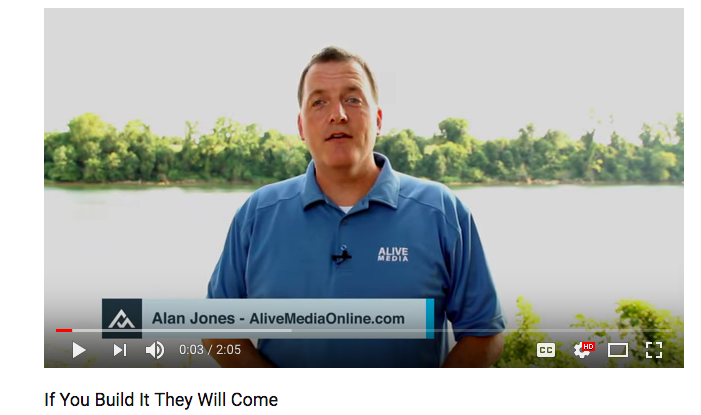 Alive Media’s own Alan Jones (owner/creative director) had the pleasure of speaking to fellow business owners recently at a seminar hosted by the North Augusta, SC Chamber and local SCORE organization. 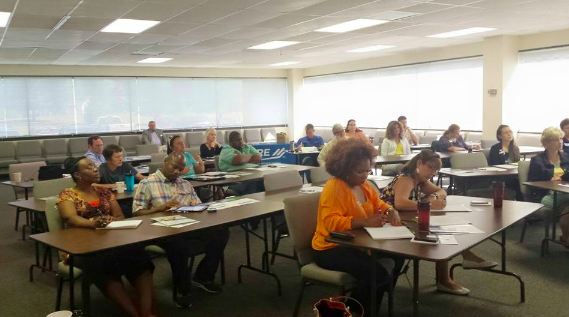 We welcomed the opportunity to share particular trends in Social Media, which platform is best for certain types of businesses, tips when using Facebook for advertising and some practical tools & methods to increase effectiveness. 1. One of the most effective tools we find in utilizing Social Media for your business is to begin with a marketing plan and calendar. This plan will ensure that consistent and relevant information is being posted on a regular basis and puts you top of mind to consumers. Creating a calendar for your plan keeps you on task for when and what times of day to post. 2. With all of the many Social Media platforms to work with, we strongly suggest that you begin with one at a time and master each one before moving to another. In other words, don’t get overwhelmed feeling like you have to know EVERYTHING about Social Media to be effective. Find which one carries most of your ideal customers and begin engaging with them there. Answer questions, post relevant articles and just create the relationships that will build trust and credibility in their minds. 3. Integrate visual Social Media into your marketing efforts. One of the largest trends today includes photos and video. Platforms such as Instagram, YouTube, Pinterest and Vine are exploding in the Social Media world and one of the best ways to advertise your products and or services is to Show them what you can do. If you need assistance with designing a marketing plan and marketing calendar or guidance on which Social Media platform to begin with, feel free to contact us for a consultation. We partner with businesses on helping them implement social media and even handle their social media marketing for them.